By ordering any products from Vape Dragons you are agreeing unconditionally to all of the following Terms and Conditions. These terms may be changed at any time by Seller without notice. 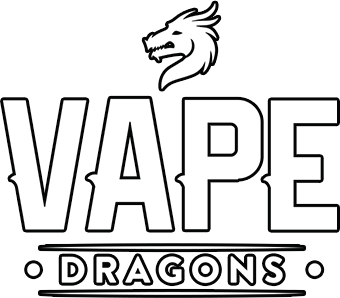 “Seller” refers to Vape Dragons, the website vapedragons.com, and all persons associated with Vape Dragons; “Buyer” refers to the individual, company, firm, or other legal entity purchasing the Goods from the Seller for any and all reasons; “Goods” refers to any and all of the material or products which are the subject of the Contract; and “Contract” refers to an agreement between the Seller and Buyer in exchange for the sale of Goods. Goods may not be purchased by anyone less than 21 years of age. Buyer agrees that all orders may be subject to the requirement of adult signature or other proof of age of Buyer at time of delivery. Buyer agrees that any consumption of Goods offered by Seller is to be consumed or used under Buyers responsibility. Buyer will not hold Seller responsible for any seen or unforeseen consequence, nor harm or injury resulting in the misuse of said Goods. 3. Regulation and Risk of Loss. Buyer is wholly responsible for any and all applicable local laws relating to the purchase of Goods. Seller deems the offer of Goods void where prohibited. In the event Goods are lost during transit, due to Buyer negligence to obey applicable laws, Seller deems loss the responsibility of the Buyer. Any risk of loss expressly passes to the Buyer upon purchase of Goods. Buyer affirms that the billing and shipping information given to Seller are truthful and accurate. Buyer confirms all personal information given is their own and not that of a third party. 5. Right to Refuse Sale. Seller reserves the right to refuse sale or service to anyone for any reason. Under no circumstance will Goods ever be shipped or sold to Buyers in the any countries besides The United States. Seller will make all efforts to ship Goods to Buyer expeditiously. In the event of delay, Buyer acknowledges that Seller is not liable. The validity of these terms and conditions are not affected by the declaration of one or more of the terms and conditions legally invalid, illegal, or unenforceable. Each term and condition stands on its own merits and shall not be deemed less valid by any seen or unforeseen change in the others, regardless of circumstance. These Terms and Conditions, as well as any sale of Goods to Buyer, are deemed to have been agreed to in and occurred in the State of Pennsylvania. Any disputes or interpretation construction, and the remedies for enforcement or breach, are to be applied pursuant to and in accordance with the laws of the State of Pennsylvania. Buyer and Seller expressly agree that all actions or proceedings arising in connection with the sale of any Goods or these Terms and Conditions shall be tried and litigated exclusively in the State or Federal Courts located in the State of Pennsylvania. The Buyer waives the right to contest exclusive venue by any motion to transfer, motion for forum non-conveniens or related motions. A. I am over 21 and an adult under the laws of my State and Country. C. In no event will Seller be liable to me or anyone else for any damages or injury caused by use, misuse, or improper use of the Goods. Neither shall Seller be liable, to me or anyone else, for actions taken, by me or anyone else, resulting from reliance on information or views, verbal or in literature obtained through Seller in any way. Waiver of liability includes all damages whether incidental, consequential, special, or similar. D. I agree to indemnify and hold harmless Seller and all other parties involved, including but not limited to their owners, officers, affiliates, associates and employees, for any and all damages incurred as result of the purchase, use, or misuse of the Goods. The Seller and all related aforementioned parties shall not be liable under any theory whatsoever. E. There are no circumstances in which Seller shall be liable for any damages whether direct or indirect, special, incidental, consequential or punitive. F. I HAVE CLEARLY READ AND UNDERSTAND THESE TERMS AND CONDITIONS, AS WELL AS ANY AND ALL CAUTIONS & WARNINGS, INCLUDING BUT NOT LIMITED TO THE WARNINGS PRINTED ON THE LABEL. I hereby agree to carefully abide by these cautions & warnings. I also will abide by all warnings stated on the website, regarding product use.